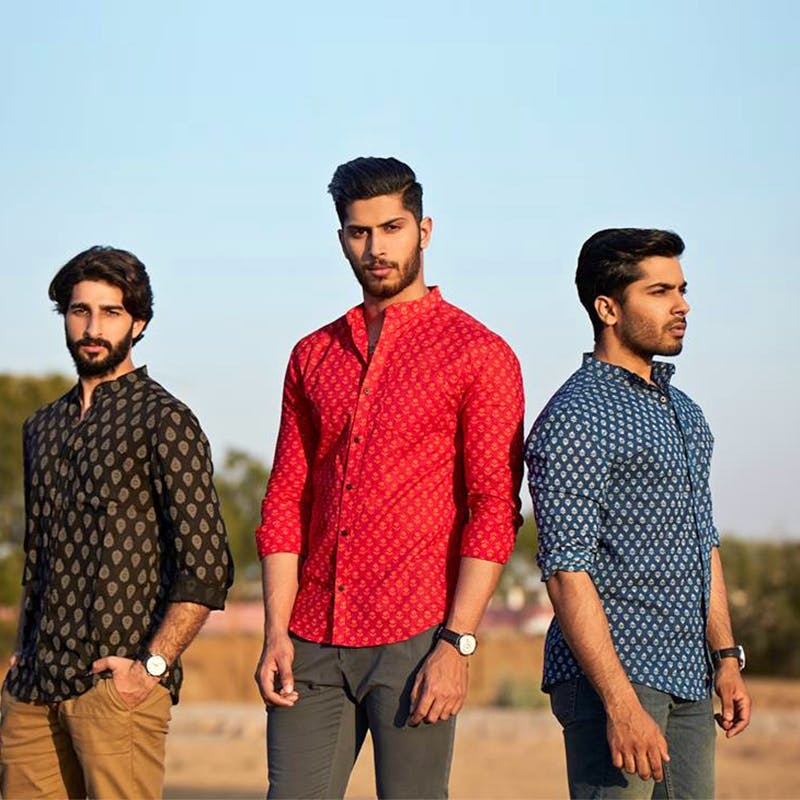 For the modern Indian men who love their shirts, Tawanzo has created a collection of handmade, block-printed shirts for men, all the way from Jaipur. Prints that make you stand out and add ehtnic to your look! Hand block printing has its own charm especially the ones that come from Jaipur, so when this writer found a brand that does hand-block printed shirts for men, you know we hit jackpot. Modern men say hello to Tawanzo, a Jaipur-based brand that works with only traditional prints to create half sleeved and full sleeved shirts that definitely need to be in your wardrobe. Yup, for men who really love their shirts, this is one label that you can happily shop for since we are talking about Sanganeri and Bagru prints along with the typical prints that you will find at any Rajasthan crafts emporium. We are suckers for Sanganeri prints mainly because of the floral motifs and you'll find plenty of options to choose from featuring lily, rose, tulips, and lotus bud designs. There's also the geometric and micro prints featuring animals and humans. Besides the prints, you will also be happy to know that the shirts are 100 per cent cotton shirts and they come in cool colours such as red, olive green, light grey, indigo, royal blue, and everyone's favourite black. The brighter coloured shirts are accented by the fact that the prints come in silver, gold or even white. The lack of a website makes it hard for you to place an order. They take their orders via Facebook and Instagram and you will be happy to know that they are pretty responsive. They do customised orders and are a regular at flea markets all over the country.